Feb 9 (AZINS) Union Minister Arun Jaitley Saturday returned from the United States, where he was undergoing medical treatment. "Delighted to be back home," Jaitley tweeted. 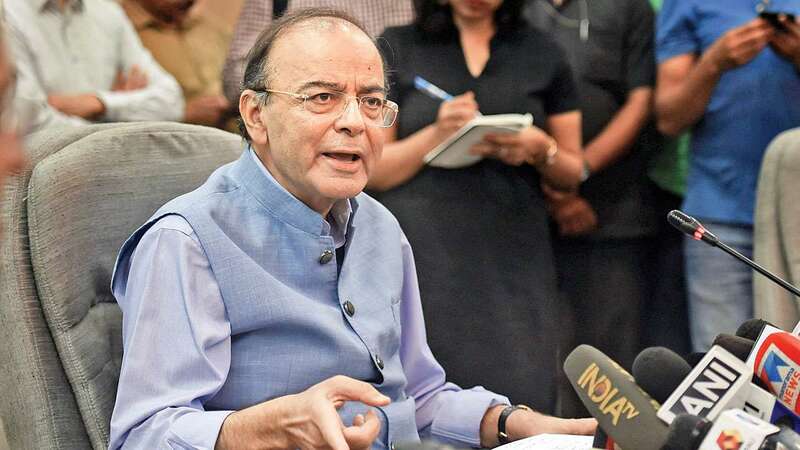 Jaitley, who was the Finance Minister before a medical procedure led to the charge being temporarily taken away from him, missed presenting the sixth and final Budget of the Narendra Modi government before the general elections. In his absence, the charge of the ministry was given to Railways Minister Piyush Goyal. In a tweet, Goyal said: "Delighted to welcome back respected Shri Arun Jaitley ji. Very grateful to him for his support, guidance, and leadership." Jaitley has been active on social media tweeting and writing Facebook posts and had also met reporters through a video call from New York and fielded questions on the Budget. He also gave interviews on the subject. In an interview to PTI in New York after the Budget presentation, Jaitley said he was on recovery course and return to India in time to reply to the Budget debate in Parliament will depend on when his doctors allow him to leave. "It depends on my treatment here, which is all over. I am on the recovery course. It's when my doctors allow me to go back. As of present, as I understand, Piyush Goyal will be replying (to the Budget debate in Parliament)," he said. The Budget session of Parliament ends on February 13, and debate on the Interim Budget has been taken up in the Lok Sabha. Jaitley, 66, had last month flown to New York for the treatment after being reportedly diagnosed with soft tissue cancer which required surgery. This was his first overseas visit after he underwent renal transplant surgery on May 14, 2018, at AIIMS. He had stopped attending office at the beginning of April last year due to his kidney ailment and was back in North Block - the seat of Finance Ministry - on August 23, 2018. Even then, Goyal had manned the ministry for about 100 days. Jaitley in September 2014 underwent bariatric surgery to treat weight gain that he suffered because of a long-standing diabetic condition.